Learn about searching, solrconfig.xml, schema.xml, field types, analyzers, indexing, and advanced search features. Solr makes it easy for programmers to develop sophisticated, high performance search applications with advanced features such as faceting, dynamic clustering, database integration and rich document handling. 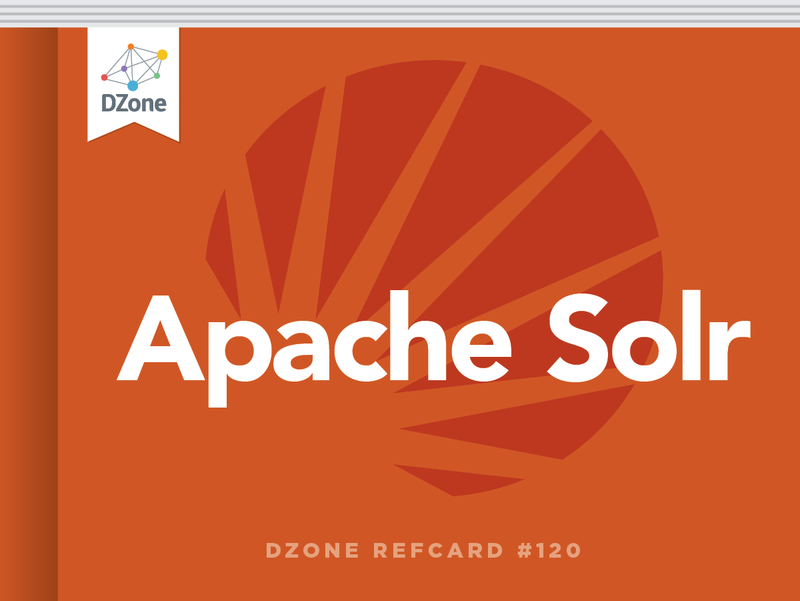 Solr (http://lucene.apache.org/solr/) is the HTTP based server product of the Apache Lucene Project. It uses the Lucene Java library at its core for indexing and search technology, as well as spell checking, hit highlighting, and advanced analysis/tokenization capabilities. The fundamental premise of Solr is simple. You feed it a lot of information, then later you can ask it questions and find the piece of information you want. Feeding in information is called indexing or updating. Asking a question is called a querying. Solr’s basic unit of information is a document: a set of information that describes something, like a class in Java. Documents themselves are composed of fields. These are more specific pieces of information, like attributes in a class. The LucidWorks for Solr installer (http://www.lucidimagination.com/Downloads/LucidWorks-for-Solr) makes it easy to set up your initial Solr instance. The installer brings you through configuration and deployment of the Web service on either Jetty or Tomcat. Solr Home is the main directory where Solr will look for configuration files, data and plug-ins. When LucidWorks is installed at ~/LucidWorks the Solr Home directory is ~/LucidWorks/lucidworks/solr/. By default, Solr is set up to manage a single “Solr Core” which contains one index. It is also possible to segment Solr into multiple virtual instances of cores, each with its own configuration and indices. Cores can be dedicated to a single application, or to different ones, but all are administered through a common administration interface. Multiple Solr Cores can be configured by placing a file named solr.xml in your Solr Home directory, identifying each Solr Core, and the corresponding instance directory for each. When using a single Solr Core, the Solr Home directory is automatically the instance directory for your Solr Core. solrconfig.xml: where you describe how people can interact with your data. By default, Solr will store the index inside the data subdirectory for that Core. Administration for Solr can be done through <"http://[hostname]:8983 /solr/admin">http://[hostname]:8983 /solr/admin> which provides a section with menu items for monitoring indexing and performance statistics, information about index distribution and replication, and information on all threads running in the JVM at the time. There is also a section where you can run queries, and an assistance area. Field types are defined in the types element of schema.xml. The type name is specified in the name attribute of the fieldType element. The name of the implementing class, which makes sure the field is handled correctly, is referenced using the class attribute. Shorthand for Class References When referencing classes in Solr, the string solr is used as shorthand in place of full Solr package names, such as org.apache.solr.schema or org.apache.solr.analysis. Numerics with Trie Encoding: TrieDateField, TrieDoubleField, TrieIntField, TrieFloatField, and TrieLongField. Numerics Encoded As Strings: DateField, SortableDoubleField, SortableIntField, SortableFloatField, and SortableLongField. Trie encoded types support faster range queries, and sorting on these fields is more RAM efficient. Documents that do not have a value for a Trie field will be sorted as if they contained the value of “0”. String encoded types are less efficient for range queries and sorting, but support the sortMissingLast and sortMissingFirst attributes. ClassDescriptionBinaryFieldBinary data that needs to be base64 encoded when reading or writingBoolFieldContains either true or false. Values of “1”, “t”, or “T” in the first character are interpreted as true. Any other values in the first character are interpreted as false.ExternalFileFieldPulls values from a file on disk.RandomSortFieldDoes not contain a value. Queries that sort on this field type will return results in random order. Use a dynamic field to use this feature.StrFieldStringTextFieldText, usually multiple words or tokensUUIDFieldUniversally Unique Identifier (UUID). Pass in a value of “NEW” and Solr will create a new UUID. Date Field Dates are of the format YYYY-MM-DDThh:mm:ssZ. The Z is the timezone indicator (for UTC) in the canonical representation. Solr requires date and times to be in the canonical form, so clients are required to format and parse dates in UTC when dealing with Solr. Date fields also support date math, such as expressing a time two months from now using NOW+2MONTHS. The field class determines most of the behavior of a field type, but optional properties can also be defined in schema.xml. PropertyDescriptionindexedIf true, the value of the field can be used in queries to retrieve matching documents. This is also required for fields where sorting is needed.storedIf true, the actual value of the field can be retrieved in query results.sortMissingFirst sortMissingLastControl the placement of documents when a sort field is not present in supporting field types.multiValuedIf true, indicates that a single document might contain multiple values for this field type. Field analyzers are used both during ingestion, when a document is indexed, and at query time. Analyzers are only valid for <fieldType> declarations that specify the TextField class. Analyzers may be a single class or they may be composed of a series of zero or more CharFilter, one Tokenizer and zero or more TokenFilter classes. Analyzers are specified by adding <analyzer> children to the <fieldType> element in the schema.xml config file. Field Types typically use a single analyzer, but the type attribute can be used to specify distinct analyzers for the index vs query. The simplest way to configure an analyzer is with a single <analyzer> element whose class attribute is the fully qualified Java class name of an existing Lucene analyzer. CharFilter pre-process input characters with the possibility to add, remove or change characters while preserving the original character offsets. CharFilterDescriptionMappingCharFilterFactoryApplies mapping contained in a map to the character stream. The map contains pairings of String input to String output.PatternReplaceCharFilterFactoryApplies a regular expression pattern to the string in the character stream, replacing matches with the specified replacement string.HTMLStripCharFilterFactoryStrips HTML from the input stream and passes the result to either a CharFilter or a Tokenizer. This filter removes tags while keeping content. It also removes <script>, <style>, comments, and processing instructions. Tokenizer breaks up a stream of text into tokens. Tokenizer reads from a Reader and produces a TokenStream containing various metadata such as the locations at which each token occurs in the field. TokenizerDescriptionStandardTokenizerFactoryTreats whitespace and punctuation as delimiters.NGramTokenizerFactoryGenerates n-gram tokens of sizes in the given range.EdgeNGramTokenizerFactoryGenerates edge n-gram tokens of sizes in the given range.PatternTokenizerFactoryUses a Java regular expression to break the text stream into tokens.WhitespaceTokenizerFactorySplits the text stream on whitespace, returning sequences of non-whitespace characters as tokens. TokenFilter consumes and produces TokenStreams. TokenFilter looks at each token sequentially and decides to pass it along, replace it or discard it. A TokenFilter may also do more complex analysis by buffering to look ahead and consider multiple tokens at once. Testing Your Analyzer There is a handy page in the Solr admin interface that allows you to test out your analysis against a field type at the <"http://[hostname]:8983/solr/admin/ analysis.jsp">http://[hostname]:8983/solr/admin/ analysis.jsp> page in your installation. Once you have field types set up, defining the fields themselves is simple: all you need to do is supply the name and a reference to the name of the declared type you wish to use. You can also provide options that override the options for that field type. Dynamic fields allow you to define behavior for fields that are not explicitly defined in the schema, allowing you to have fields in your document whose underlying <fieldType/> will be driven by the field naming convention instead of having an explicit declaration for every field. Dynamic fields are also defined in the fields element of the schema, and have a name, field type, and options. Solr has a mechanism for making copies of fields so that you can apply several distinct field types to a single piece of incoming information. If you are using the Lucene query parser, queries that don’t specify a field name will use the defaultSearchField. The dismax query parser does not use this value in Solr 1.4. In queries with multiple clauses that are not explicitly required or prohibited, Solr can either return results where all conditions are met or where one or more conditions are met. The default operator controls this behavior. An operator of AND means that all conditions must be fulfilled, while an operator of OR means that one or more conditions must be true. In schema.xml, use the solrQueryParser element to control what operator is used if an operator is not specified in the query. The default operator setting only applies to the Lucene query parser (not the DisMax query parser, which uses the mm parameter to control the equivalent behavior). solrconfig.xml, found in the conf directory for the Solr Core, comprises of a set of XML statements that set the configuration value for your Solr instance. The <updateHandler> section affects how updates are done internally. The <autoCommit> subelement contains further configuration for controlling how often pending updates will be automatically pushed to the index. If either of these limits is reached, then Solr automatically performs a commit operation. If the <autoCommit> tag is missing, then only explicit commits will update the index. The <requestDispatcher> section controls how the RequestDispatcher implementation responds to HTTP requests. The <query> section contains settings that affect how Solr will process and respond to queries. ElementDescription<filterCache>Used by SolrIndexSearcher for filters for unordered sets of all documents that match a query. Solr usese the filterCache to cache results of queries that use the fq search parameter.<queryResultCache>Holds the sorted and paginated results of previous searches<documentCache>Holds Lucene Document objects (the stored fields for each document). A Request Handler defines the logic executed for any request. Multiple instances of various request handlers, each with different names and configuration options can be declared. The qt url parameter or the path of the url can be used to select the request handler by name. default, which is used when a request does not include a parameter. append, which is added to the parameter values specified in the request. invariant, which overrides values specified in the query. XMLUpdateRequestHandler: processes XML messages containing data and other index modification instructions. BinaryUpdateRequestHandler: processes messages from the Solr Java client. The out-of-the-box searching handler is SearchHandler. Instances of SearchComponent define discrete units of logic that can be combined together and reused by Request Handlers (in particular SearchHandler) that know about them. The default SearchComponent used by SearchHandler is query, facet, mlt (MoreLikeThis), highlight, stats, debug. Additional Search Components are also available with additional configuration. Response writers generate the formatted response of a search. The wt url parameter selects the response writer to use by name. The default response writers are json, php, phps, python, ruby, xml, and xslt. Indexing is the process of adding content to a Solr index, and as necessary, modifying that content or deleting it. By adding content to an index, it becomes searchable by Solr. There are a number of client libraries available to access Solr. SolrJ is a Java client included with the Solr 1.4 release which allows clients to add, update and query the Solr index. http://wiki.apache.org/solr/IntegratingSolr provides a list of such libraries. Solr accepts POSTed XML messages that add/update, commit, delete and delete by query using the http://[hostname]:8983/solr/update url. Multiple documents can be specified in a single <add> command. CSV records can be uploaded to Solr by sending the data to the http://[hostname]:8983/solr/update/csv URL. These parameters can be used to specify how data should be parsed, such as specifying the delimiter, quote character and escape characters. You can also handle whitespace, define which lines or field names to skip, map columns to fields, or specify if columns should be split into multiple values. Using the Solr Cell framework, Solr uses Tika to automatically determine the type of a document and extract fields from it. These fields are then indexed directly, or mapped to other fields in your schema. The URL for this handler is http://[hostname]:8983:solr/update/extract. The Extraction Request Handler accepts various parameters that can be used to specify how data should be mapped to fields in the schema, including specific XPaths of content to be extracted, how content should be mapped to fields, whether attributes should be extracted, and in which format to extract content. You can also specify a dynamic field prefix to use when extracting content that has no corresponding field. The Data Import Handler (DIH) can pull data from relational databases (through JDBC), RSS feeds, emails repositories, and structure XML using XPath to generate fields. Data can be queried using either the http://[hostname]:8983/solr/ select?qt=name URL, or by using the http://[hostname]:8983/solr/name syntax for SearchHandler instances with names that begin with a “/”. SearchHandler processes requests by delegating to its Search Components which interpret the various request parameters. The QueryComponent delegates to a query parser, which determines which documents the user is interested in. Different query parsers support different syntax. Sear ch strings—that is, terms to sear ch for in the index. Parameters for fine-tuning the query by incr easing the importance of particular strings or fields, by applying Boolean logic among the search terms, or by excluding content from the search results. Parameters for controlling the presentation of the query response, such as specifying the order in which results are to be presented or limiting the response to particular fields of the search application’s schema. Search parameters may also specify a filter query. As part of a search response, a filter query runs a query against the entire index and caches the results. Because Solr allocates a separate cache for filter queries, the strategic use of filter queries can improve search performance. The standard query parser syntax allows users to specify queries containing complex expressions, such as: . http://[hostname]:8983/solr/select?q=id:SP2514N+price:[*+TO+10]. The DisMax query parser is designed to provide an experience similar to that of popular search engines such as Google, which rarely display syntax errors to users. Instead of allowing complex expressions in the query string, additional parameters can be used to specify how the query string should be used to find matching documents. Faceting makes it easy for users to drill down on search results on sites such as movie sites and product review sites, where there are many categories and many items within a category. Field Faceting: treats each indexed term as a facet constraint. Query Faceting: allows the client to specify an arbitrary query and uses that as a facet constraint. Date Range Faceting: creates date range queries on the fly. Solr provides a collection of highlighting utilities which can be called by various Request Handlers to include highlighted matches in field values. Popular search engines such as Google and Yahoo! return snippets in their search results: 3-4 lines of text offering a description of a search result. When an index becomes too large to fit on a single system, or when a query takes too long to execute, the index can be split into multiple shards on different Solr servers, for DistributedSearch. Solr can query and merge results across shards. It’s up to you to get all your documents indexed on each shard of your server farm. Solr does not include out-of-the-box support for distributed indexing, but your method can be as simple as a round robin technique. Just index each document to the next server in the circle. Clustering groups search results by similarities discovered when a search is executed, rather than when content is indexed. The results of clustering often lack the neat hierarchical organization found in faceted search results, but clustering can be useful nonetheless. It can reveal unexpected commonalities among search results, and it can help users rule out content that isn’t pertinent to what they’re really searching for. The primary purpose of the Replication Handler is to replicate an index to multiple slave servers which can then use loadbalancing for horizontal scaling. The Replication Handler can also be used to make a back-up copy of a server’s index, even without any slave servers in operation. MoreLikeThis is a component that can be used with the SearchHandler to return documents similar to each of the documents matching a query. The MoreLikeThis Request Handler can be used instead of the SearchHandler to find documents similar to an individual document, utilizing faceting, pagination and filtering on the related documents.